This is a beast! 24v & 4x Motors for Massive Power! Assembling our ride-on cars is easy and anyone can do it. If you would prefer to save time you can let us take your car out of the box and assemble your awesome ride-on for you. 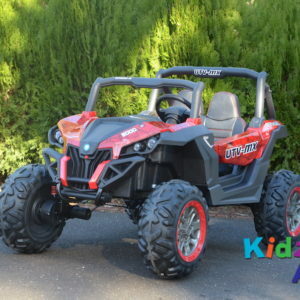 Every kid in Australia wants to own this beast of a car. 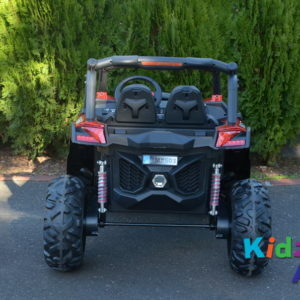 Our 24v Beach Buggy for children is MASSIVE, has 4 motors and is 24v (parallel batteries)! Not only that it comes with slow and fast gears, a parental remote control, battery level indicator, leather seats and much more! This car is huge and perfect for the kid that wants the “best in class” ride on car. 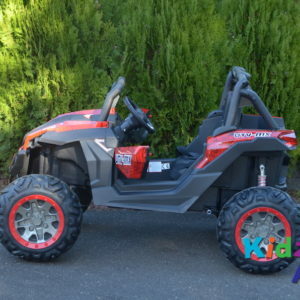 Our camouflage green Beach Buggy will give your little one an awesome driving experience because this ride on toy car is all that kids in Australia talk about! The ride-on car featured in this video is identical to the advertised product, just a different colour. Our powerful green electric buggy for kids has four driving motors (4 x 35W) for the better performance! 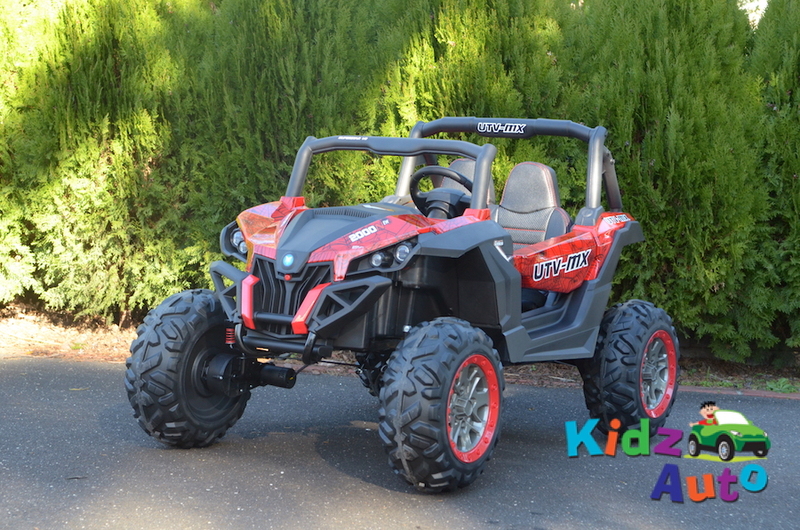 This mighty electric-powered beach buggy has two 12V batteries for your mighty young driver! The batteries come with a charger so your little one doesn’t lose much fun time when the battery gets drained. With a speed range of 4 – 6 km/h, Kidz Auto green beach buggy is perfect for kids that are ready for some speedy adventure time! 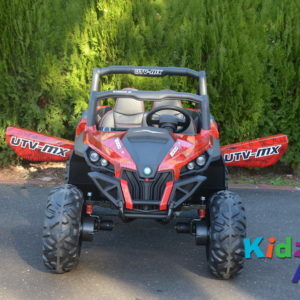 This motorized vehicle for cool kiddies has two gears: slow & fast, and a slow start! 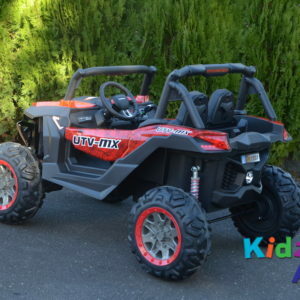 That makes this green beach buggy best suitable for children aged from 4 to 8; and it also has a weight capacity of up to 50kg. 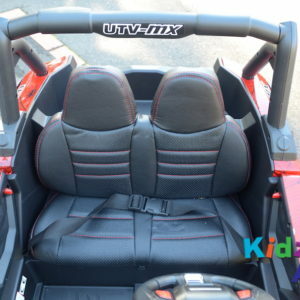 Green Beach Buggy is equipped with a seat belt to hold your kid safely in a seating for one. We have also packed a 2.4G remote control because the safety of your little one is our priority! You can now easily take over the control of your kid’s electric vehicle and manage it yourself for extra safety! Our green beach buggy is awesomely stylish and would suit your kid for sure! 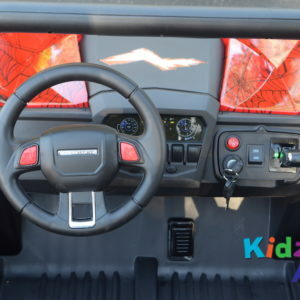 This fun kids’ electric car has an adjustable leather seat that provides a comfortable ride for your little one! It suits both boys and girls, so whether you have a daughter or a son, our awesome toy on wheels will be perfect for him or her! 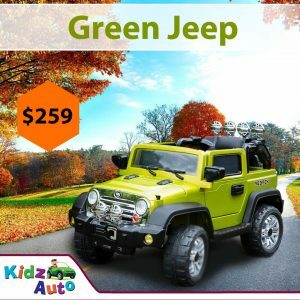 Kidz Auto Beach Buggy – Green has working doors, adjustable rear suspension and realistic working lights to give the impression of a beach buggy for grown-ups. 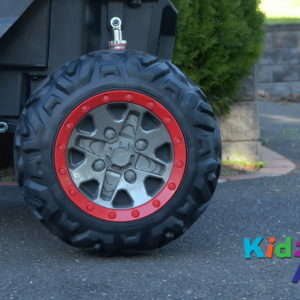 EVA rubber tires and 4 wheel drive make the driving experience so awesome! 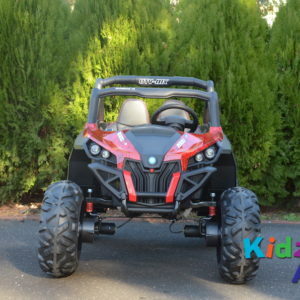 Your kid will spend so much fun time driving Kidz Auto electric beach buggy! 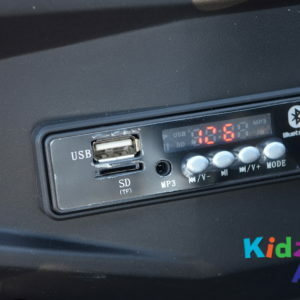 It also has MP3 Connectivity if your kid wants to play some music during the ride. 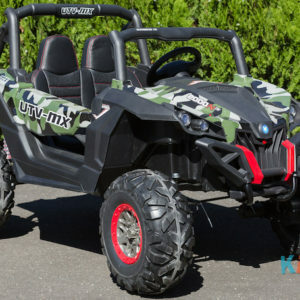 Our ride on toys are of the highest quality but a lot of exposure to sand, dirt and gravel may damage the car’s engine and gearbox and won’t be covered under the manufacturer warranty. 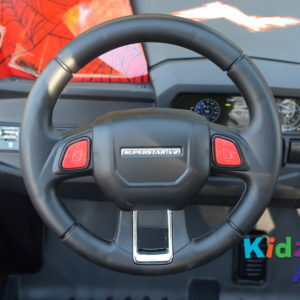 If you are in a search of an awesome car for your kid, you have come to the right place! 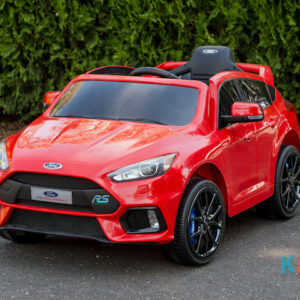 Our cars for kids are just what you are looking for – safe for children, suitable for both boys and girls and unique! Kids ride on cars are the most versatile gifts on the market. 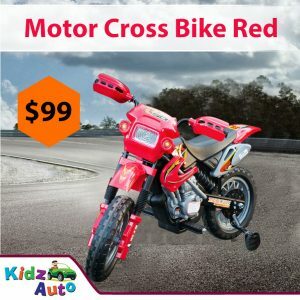 Here at Kidz Auto, we provide the highest quality products for kids of all ages, interests, and genders. We are an Australian owned and located company and provide our customer’s with fast and competitive delivery to all regions of the country.